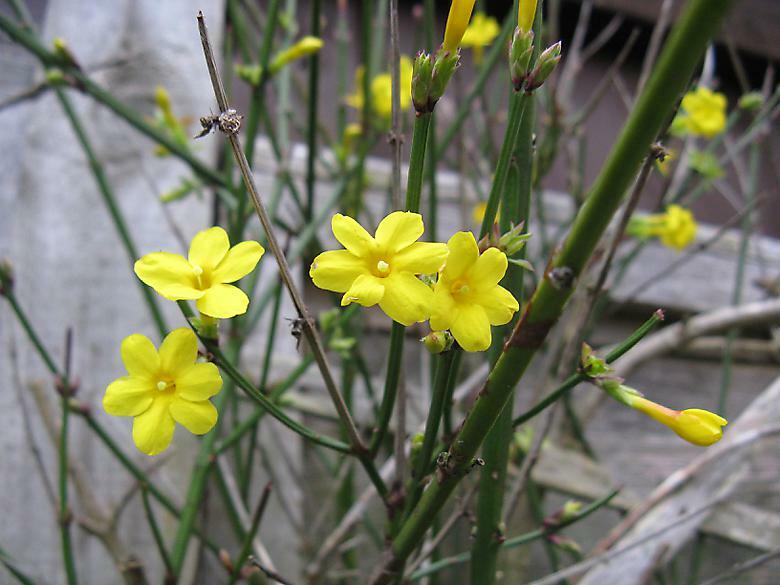 I bought this recently and planted it somewhat under the Choisya and Holly shrubs. Not sure if it will survive for next year, but I recon that it is in the best place possible that I have for it. Its already a bit of a favourite. Its a little bit hidden, so it is a joy whenever I notice it. I first saw these on my Salvia Wendy's wish. Today I also saw one on the lavender as I was trimming back some of the old flower heads. I thought I better check the Rosemary more carefully and indeed there was a few on there as well. 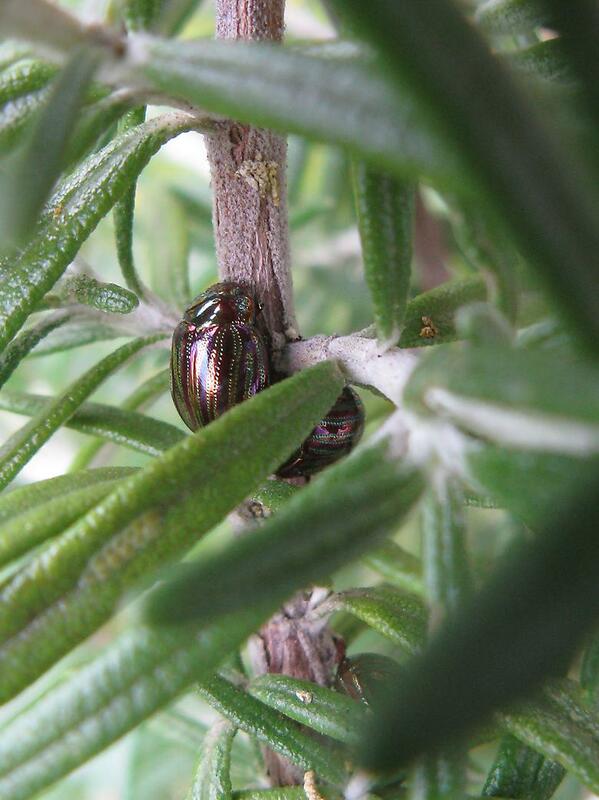 They are too small to really see how colourful they are by eye (or mine anyway), but a close up picture reveals a purple and green metallic sheen to them. 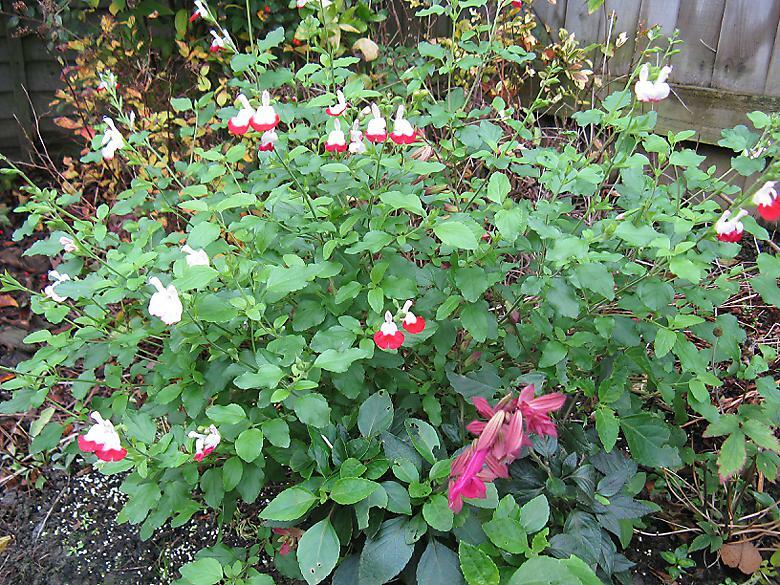 My Salvia Hot lips has appeared a few times before, but it seems to have suddenly put on a spurt of growth and is now overshadowing the Wendy's Wish and a few other plants that I now realise are way too close together. In the Six on Saturday at the end of September, there were just a few almost completely white flowers. How however, there are many flowers and most of them have the bright red lower lip again. I think that the berries are now as dark as they are going to be (although I've said that before). Here's a more complete view of it than has appeared before. 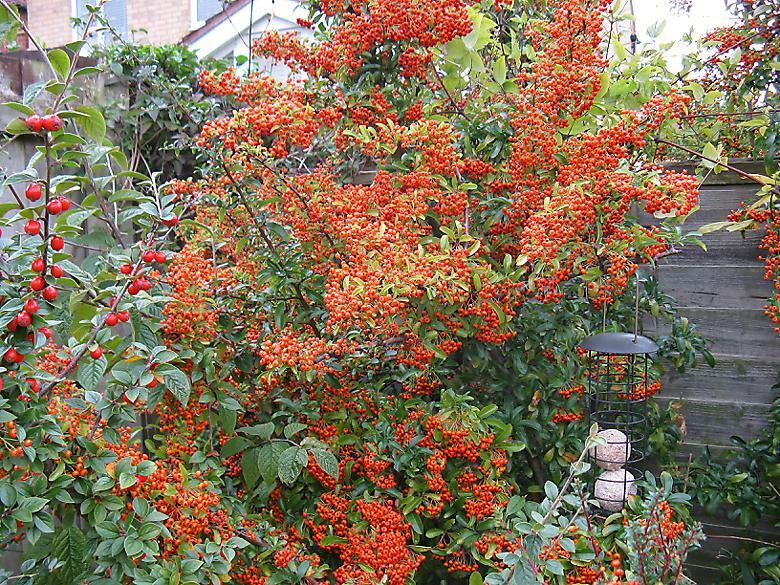 There are at least two or three different Cotoneasters mixed up in there and sorting that area out is a project for another time. Noticed a few weeks ago that this was starting to flower and now there are a few out together. 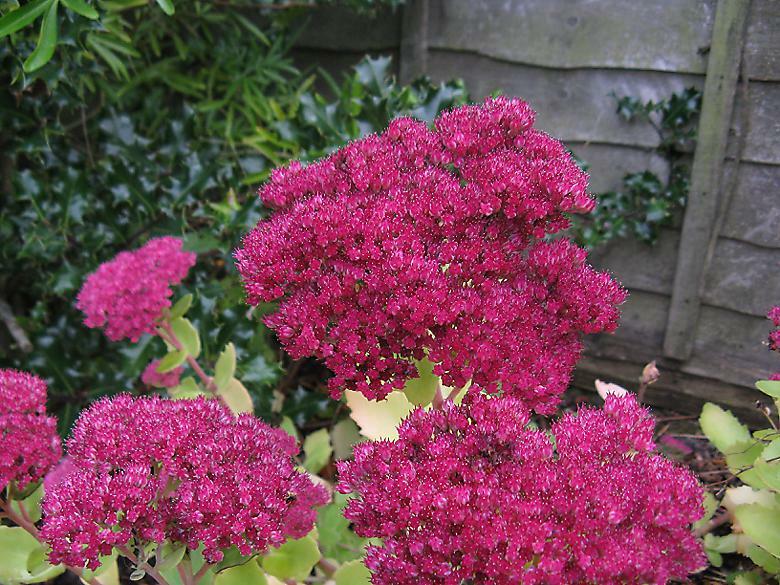 The Sedum seems to move at a very slow pace, the buds started getting some colour ages ago and they just seems to continuously get darker as time goes on. Now they appear to be finally fully open - probably... 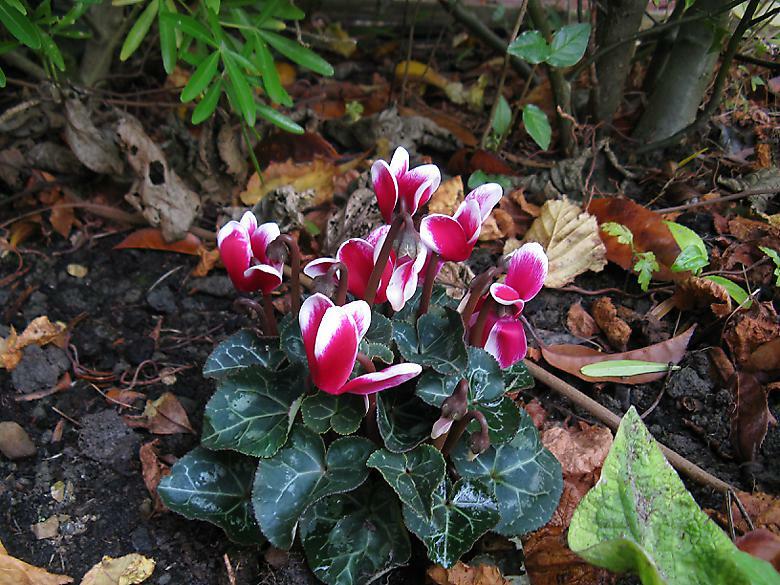 I still don't particularly like them, but they shall be staying for their autumn colour. To see a larger variety of things going on in Gardens this weekend head over to this weeks The propagator blog and the comments, where there are an increasing number of people taking part.